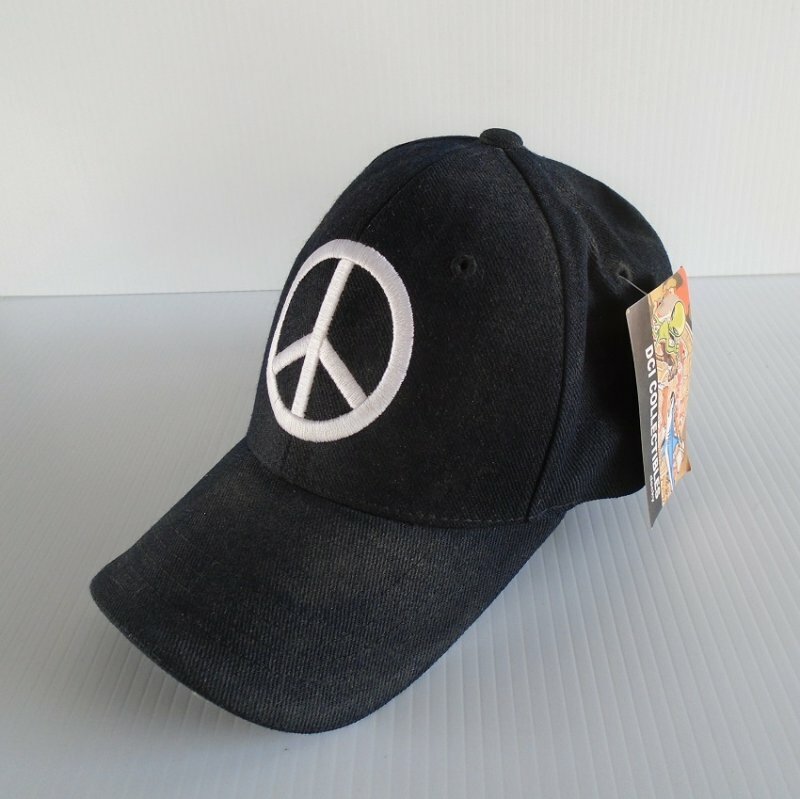 Peace sign baseball type cap. Never worn and still has paper and cloth tags. From DCI Collectibles. Unknown age, estate sale find. This peace sign baseball type cap has never been worn. It has spent it's life in a display cabinet. It still has the store tag attached. The paper tag and the cloth tag sewed inside states it's from a company called "DCI Collectibles". It has and adjustable Velcro closure in the back and although it doesn't say 'One Size Fits All", that adjustable strap should make that possible. Unknown age as I obtained it from an estate sale. There are no rips, tears, or stains. Buyer to pay USPS First Class Mail Package delivery charges of $4.60. Shipping is from Arizona.